Last month in Osaka, a high school student, and captain of his basketball team, hanged himself one day after he told his mother that he had been struck 30 or 40 times by his coach. This is one of many such similar incidents that have occurred in Japan over the past few decades in which verbal or physical abuse has pushed the victim to take his or her own life. Faced with the choice of enduring ongoing persecution, bullying, or high stress encounters with others, a significant number of Japanese choose to end their own lives. Indeed, in Japan suicide is seen as, along with bullying, one of the major social issues facing the country. Annual suicide rates in Japan are considerably higher than in most other industrial countries, normally hovering around 24 suicides per 100,000 people, which is roughly double the rate in the U.S. and three times that in the UK. Put another way, for the last fourteen years at least 30,000 Japanese have killed themselves annually, which is typically about equal in absolute terms to the U.S., which has a population that is almost two and a half times the size of Japan. The Japanese government has taken note of this problem and published a White Paper on the subject that outlined a number of steps and policies to combat it. 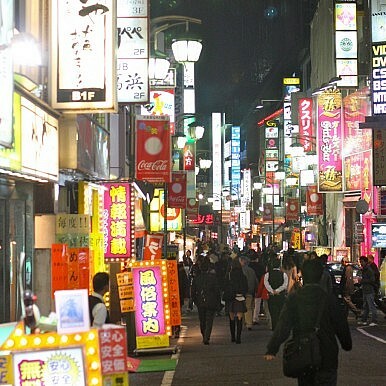 Tokyo’s subsequent implementation of these policies has not been effective, however. The question remains, of course, as to why the suicide rate in Japan is so high. Answers are difficult to come by. At least as far back as Ruth Benedict’s book The Chrysanthemum and the Sword, Japanese and Western scholars have argued that Japan is a suicide tolerant culture. I am not convinced. In my own research I have found that Japanese are usually very troubled by suicide and find the act of someone taking their own life to be heart wrenching. That being said, although Japan is a not suicide tolerant society it is important to recognize that, unlike in many Western nations, there is no religiously-guided moral prohibition against suicide, which claims that life is a gift from one’s deity and thus has to be preserved, even if it is intolerable. Rather, in Japan suicide is negatively constructed because it is viewed through the perspective of how it affects those left behind—particularly loved ones. It is accordingly viewed as a selfish act that traumatizes those closest to the person who took their life. Some scholars looking for structural and social causes behind Japan’s suicide problem have argued that there is a close correlation between unemployment and suicide rates. In fact, during the financial crisis of 1997 and 1998, suicides increased around 35%, a change that would seem to support the idea that there is a strong correlation between economic conditions and suicides in Japan. Employment issues and general economic problems are clearly part of the explanation for the country’s high suicide rates, but only partial—they do not, for instance, explain high suicide rates among teens and the elderly, nor do they address other aspects of Japanese society that may influence suicidal behavior. Japan and Europe’s Triple PartnershipThe Art of the Balance: Japan, China and the United StatesHow Abe Remade the Japan Coast GuardWhat Comes After US Hegemony?Will Japan and Russia Finally Settle Their Territorial Dispute?